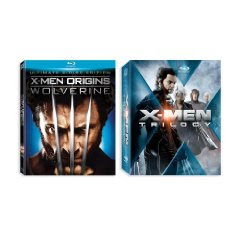 Amazon’s Gold Box Deal is the X-Men Trilogy + X-Men Origins: Wolverine for only $50.99 – down from the original price of $119.98. This is a savings of 58%! If you have a free Amazon Prime trial – shipping is even free! Don’t worry though -if you don’t have the free trial, you can still get one today. When you check out, click the image that says Free 2 day shipping and sign up for a one month trial and you can get in on the free shipping offer as well! This could be a great birthday gift or — even though it’s many months away – a great Christmas gift for someone!